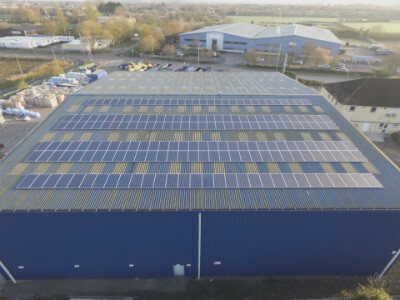 Perrys have invested in 50Kw Solar System (188 x Trina 265kwp panels with Solar edge inverters and web portal) at our Bridgwater recycling & shredding depot. This is part of our ongoing commitment towards our Corporate & Social Responsibility and to reduce our carbon footprint and electricity overheads. Reduced electricity bills - The electricity produced by the system can directly run our recycling & shredding equipment, saving overheads and reducing our carbon footprint. Please click for more information about CleanEarth..